Looking for an upgrade this new year? 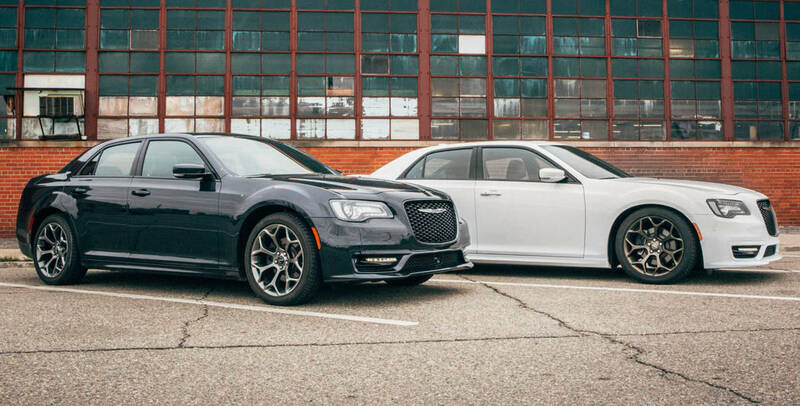 Chapman Chrysler Jeep and Chapman Dodge Chrysler Jeep Ram have a new car designed for the bold and luxurious — the 2019 Chrysler 300. The new Chrysler 300 comes standard with a 3.6-liter, V-6 engine with an eight-speed automatic transmission and is available in five unique trims: Touring, Touring L, 300S, Limited and 300C. The class-leading 300C comes available with a 5.7-liter, V-8 Hemi putting out 363 horsepower. Last month, Edmunds.com, an online resource for automotive information, revealed their 2019 Edmunds Buyers Most Wanted Awards. The 2019 Most Wanted Awards highlight the most in-demand vehicles in 17 segments based upon sales figures, average time on the lot and shopper interest data. For the second year in a row, the Chrysler 300 held the Most Wanted Large Car on Edmunds Buyers Most Wanted Vehicle List. Inside, the new Chrysler 300C features standard premium Nappa leather seating with heated and ventilated front seats and the newest technology available on the market. The 2019 models come standard with a 4G LTE Wi-Fi hot spot, Apple CarPlay, Android Auto compatibility, ParkSense front and rear park assist, LaneSense lane departure warning and a Uconnect 4C with an 8.4-inch display. Chapman Chrysler Jeep sells and services the complete line of Chrysler and Jeep vehicles from its location at Valley Automall in Henderson. The dealership is located at 930 Auto Show Drive and can be reached at 702-558-3000 or online at chapmanchryslerjeep.com. Chapman Dodge Chrysler Jeep Ram, at 3175 E. Sahara Ave., sells and services new and used vehicles. For more information, call 702-457-1061 or visit vegasdcj.com.